Another interesting thought-piece that I stumbled on in my Middle-earth wanderings across the internet. 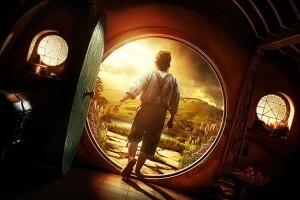 In this article, Tolkien scholar Michael Martinez tackles the eternally vexing question of textual fidelity and why he feels that the divergences between novel and film are beneficial. THERE is a certain amount of creative license that enters into any film adaptation of a book. And history teaches us that no matter how faithful (or unfaithful) a film adaptation is with respect to its original source, someone will complain about the movie’s (un)faithfulness to the books. For example, I loved the first two “Harry Potter” movies, which I felt were extremely imaginative and creative. I had never seen children’s movies before where the actors were actually called upon to ACT. Compare the lively, engaged performances of the adults in “Harry Potter and the Sorceror’s Stone” with the wooden performances of otherwise perfectly good actors in classic children’s films like “Mio in the Land of Faraway”, “The Witches”, “The Neverending Story”, and so on. You almost have to go back to Edmund Guinn in “Miracle on 34th Street” to see anything like an adult actor taking a children’s story seriously enough to treat it with respect (well, “Mary Poppins” and “Chitty Chitty Bang Bang” were pretty good). But I digress from the main point. Movies can be very faithful to the book, and one of the criticisms that my Harry Potter fan friends who had read the books before watching the movies complained about was that the movies were boring and predictable. They followed the books very closely (even while cutting out a bit of material). But then along came “Harry Potter and the Prisoner of Azkaban”, which Alfonso Cuarón directed — totally changing the tone and character of the film franchise — and people complained that his film was too UNLIKE the book. Talk about injecting a Goldilocks Syndrome into a fanbase, you just cannot find people agreeing on when the “Harry Potter” movies are just right even up to the last film (which some people hate for all sorts of reasons — but I loved it).